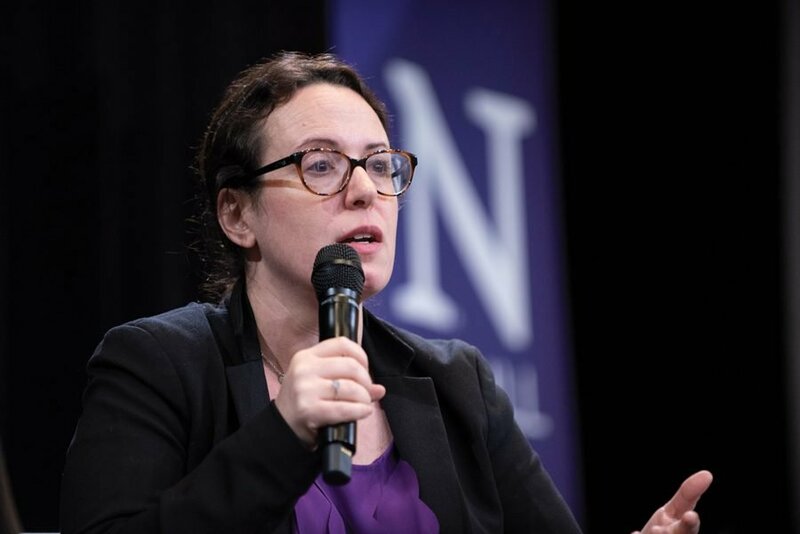 New York Times White House correspondent Maggie Haberman speaks at an event Thursday. Haberman emphasized the need for strong local news and truthful political reporting. New York Times White House correspondent Maggie Haberman doesn’t ever have a “typical” day. In the hectic Trump administration news cycle, she splits her time between New York and Washington, keeping up with breaking news that develops at breakneck speed. In the 24-hour news cycle, Haberman is practically attached to her phone and email, and she’s had to take “more and more forced breaks” away from them. One such break came Thursday night, when she spoke to a crowd of roughly 100 Northwestern students, faculty and Evanston residents at an event hosted by Northwestern Hillel. The event, which was held at the McCormick Foundation Center and co-hosted by the Medill School of Journalism, Media, Integrated Marketing Communications, consisted of a discussion moderated by Medill Dean Charles Whitaker and a Q&A session. Whitaker began by asking Haberman how she became such a key figure in journalism; last year, she won a Pulitzer Prize for her reporting on President Donald Trump’s potential connections to Russia. Her response was unexpected. “I did not want to be a journalist,” Haberman replied. Haberman said she wrote for other publications — like the New York Daily News and Politico — before beginning to report for the New York Times in 2015, where her work has focused on Trump’s candidacy and early presidency. Charles Whitaker and Maggie Haberman. SESP sophomore Jacob Jordan, who attended the event, said he considers journalism to be a safeguard for democracy, adding that he has made sure to follow journalists like Haberman on Twitter. 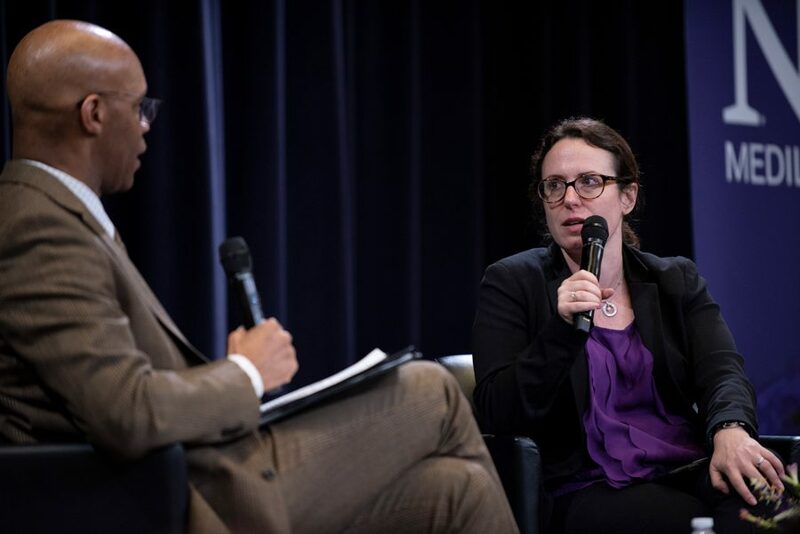 Haberman received several audience questions about her experiences dealing with the president and the backlash the Times has received from him. She said that holding public figures accountable has never been as important as it is now — both on a local and national level. Haberman said that when she first started reporting in the late 1990s, the newspapers she wrote for focused more on state and local politics and less on federal issues. Now, she said that has reversed. Haberman added that while this presidential administration has provided many stories to pursue, The Times is reconsidering how pervasive their coverage should be. She said too much reporting on Trump can lead the public to minimize individual stories’ importance. Medill first-year Virginia Langmaid said she appreciated Haberman’s success story.